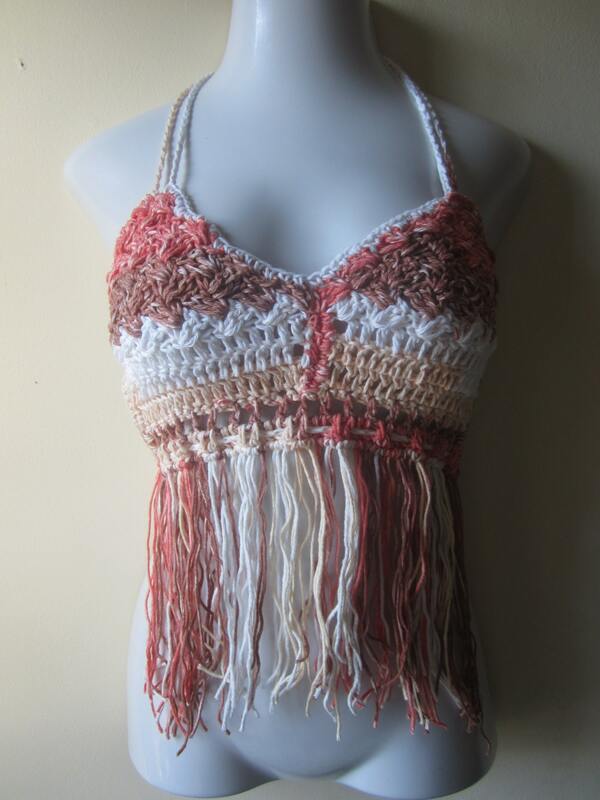 This is a crochet fringe halter top made using 100% cotton yarn in a painted yarn, the colors are peach brown and white. 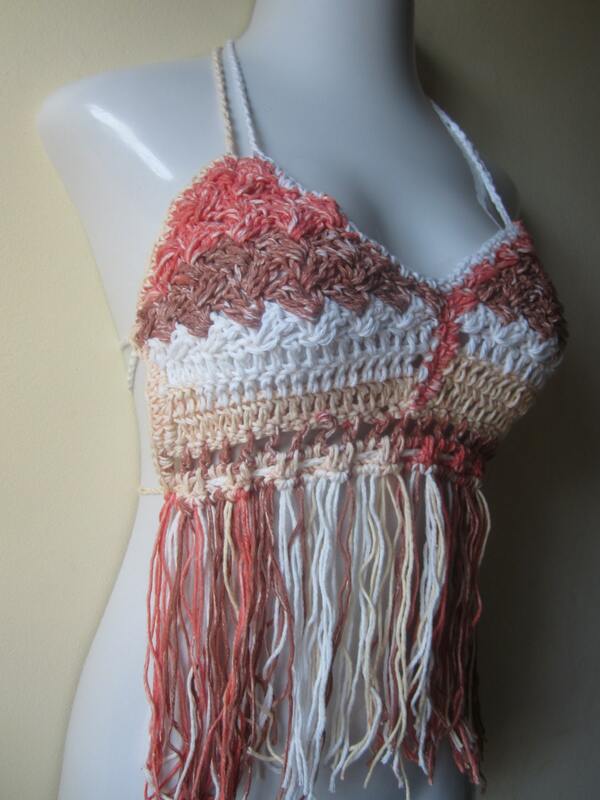 This top is perfect for festivals, summer days and beach cover.It is luxurious adorned with fringes that cover the tummy. 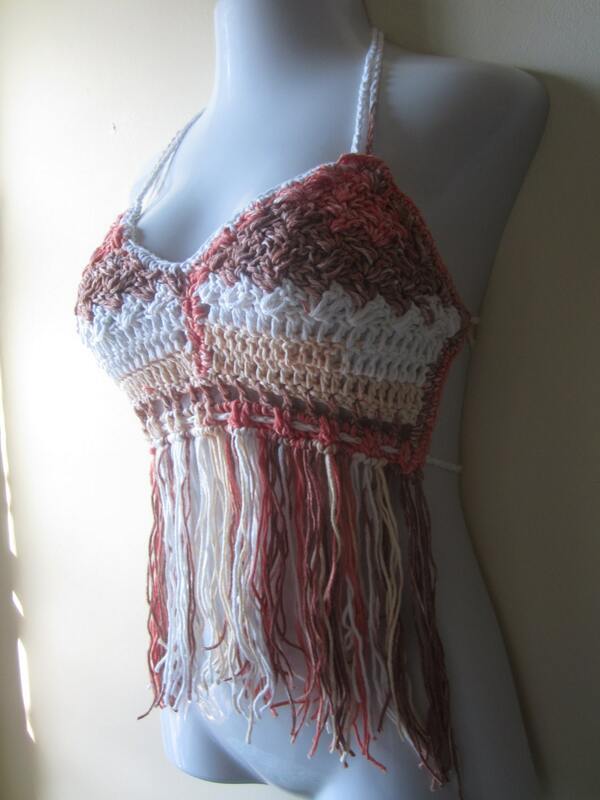 Top is crocheted tightly for maximum coverage and the tie runs through the front to the back enabling this top to be secure.